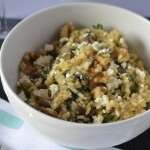 This sun-dried tomato spinach risotto is an excellent winter dinner that is started on the stove and finished in the oven. 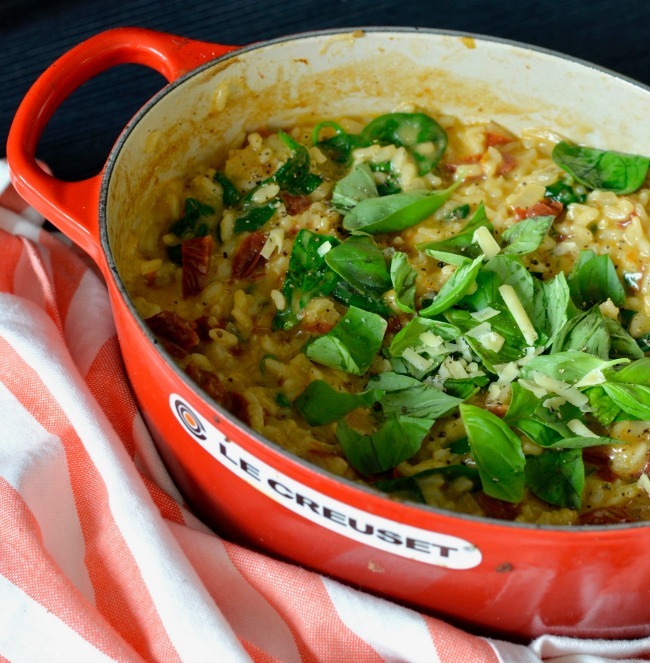 It’s hearty and warming, full of flavour and surprisingly simple to make. It can be made vegan friendly as well! 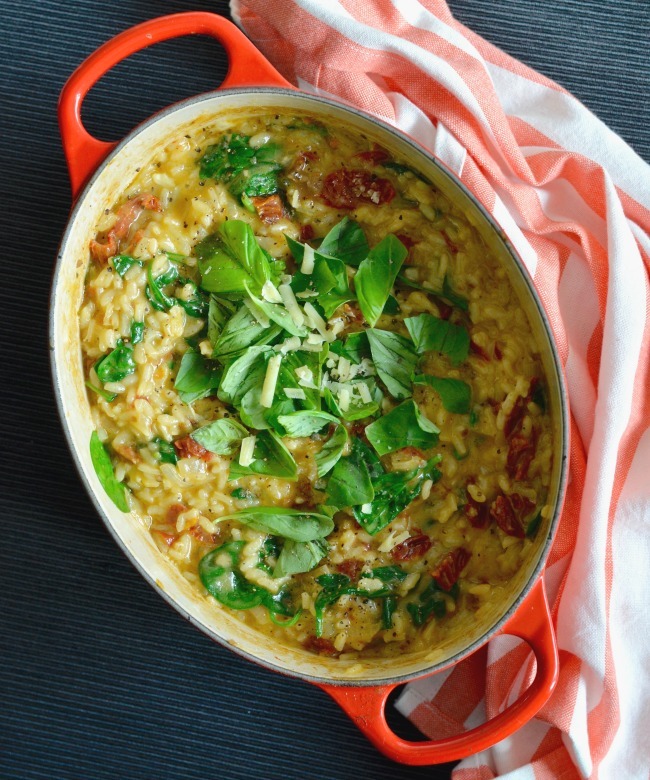 This sun-dried tomato spinach risotto is amazingly creamy and oh-so-tasty. If you want to make it suitable for vegans then switch out the cheese for nutritional yeast. 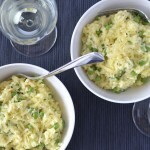 You might want to add a tablespoon or so of vegan butter to up the creamy content as well! 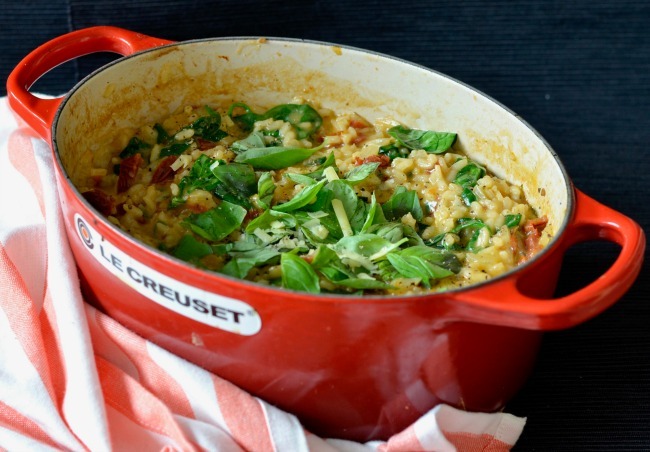 It is dishes like this that make me love my Le Creuset dish even more – it’s so versatile! I particularly love that not only can I cook both on the stovetop and in the oven with it, but I store the leftovers in it as well. Less washing up is always a win! 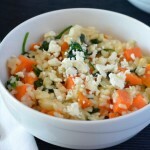 I also love that because this risotto is finished in the oven you don’t have to do quite so much stirring! That way, you can spend the last 15 minutes of the cooking time getting everything else ready for dinner so you’re good to go when it’s ready to serve. Perfect! 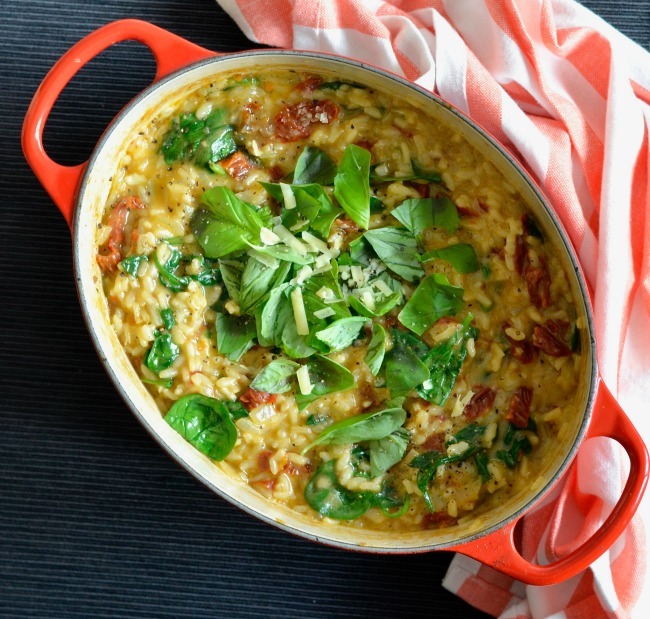 Who would like this sun-dried tomato spinach risotto for dinner tonight? This is fantastic, I will try this for sure!